Percocet dosage: What is the Highest Daily Dose of Percocet? Percocet Dosage and Administration: How Often You Can Take Percocet? Percocet is a drug that is recommended to treat varying levels of pain. It is not a safe painkiller, and it tends for users to abuse it. It is vital for the patients to know what Percocet dose is safe for them and how often the drug should be used. Discover how to choose the right dose of Percocet, taking into account the age of the patient. What is the Single Dosage Range? What is Considered a Lethal Dose of Percocet? What are the Dosages for Pediatric Patients? Percocet pills come in different shapes and colors, specific to the type of dosage. Usually, they are prescribed in batches, which would mean that they come in a bottle. There is also a different dosage form in liquid Percocet which is just as effective as the pill. Below is detailed information about the daily limits for each standard dose. The doses should be taken according to the severity of the pain that the patient is receiving treatment for. 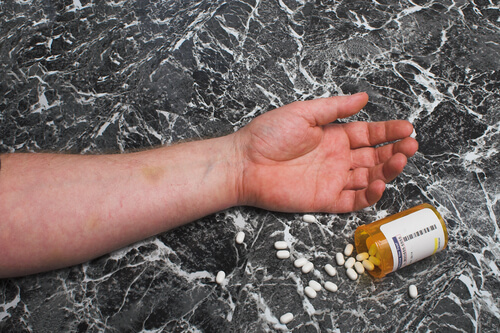 The lowest dose of Percocet is 2.5mg Oxycodone and 325mg Acetaminophen. It should be used to treat mild pain. It can also be used to taper off stronger doses to reduce the severity of withdrawal symptoms from Percocet. For this dose, there is a 12-tablet daily limit. This kind of dose can be used to begin a gradual build up for stronger doses. For some patients, it is enough to treat moderate pain. For this dose, there is also a 12-tablet daily limit. Notice, that due to it’s ingredients, Percocet is stronger than Norco 5/325. Should be used to treat moderate pain in cases where 5mg is not enough. The daily tablet limit should be respected. For this amount, there is an 8-tablet daily limit. This is one of two doses that contain the maximum recommended single dose of oxycodone at 10mg. Usage should be reserved for patients suffering a high level of pain, and no more than 6 tablets per day should be used. The second dose is containing 10mg of oxycodone. The difference between both doses is that this one contains 650 mg of acetaminophen in contrast to the former’s 325mg. It means that this is the strongest Percocet overall. Although the daily tablet limit remains at 6 tabs per day, this amount should be administered with caution and reserved for patients suffering from a very high level of pain. According to the half-life of Percocet, 6-tablet limit is the maximum daily dosage here too. Note: Generic brands of this painkiller offer different dosage strengths. This means that you can get 30mg Percocet, 40mg Percocet and Percocet 50mg from some of these brands. It is also important to point out that a lethal dose of Percocet exists, identified by the daily dosage of over 4000 mg Acetaminophen or above 60 mg of Oxycodone. The lethal dosage is derived from the figures representing the recommended daily maximum of Acetaminophen and Oxycodone. Each generic pill contains 325 mg of Acetaminophen. With the 12-tablet restriction placed on daily dosages, the patient stays out of reach of an LD, maxing out at a possible 3900 mg per day. In the same vein, Oxycodone daily recommended doses max out from 2.5mg/12 tablets to 10mg/6 tablets. These doses max out at 60 mg, keeping the patient under the lethal dose. Extended-release tablets are available for children within the age of 11-17. Generally, the maximum recommended dose per day for pediatric patients is 75mg/kg (in weight) for severe pain. To avoid accidental Percocet high or overdose, it is advised that the lowest effective dose should be used. Doses should not be spiked. Additionally, it is not recommended to use the immediate-release tablets. The drug has not been certified safe for children. However, it is essential to consult a doctor first to know the most suitable dosage for the child or ask for a less harmful alternative like Vicodin. There are a lot of things to take note of about the dosage administration. First of all, it is explicitly inadvisable to mix alcohol with Percocet. It would increase the severity of side effects and could even lead to a coma or death. Ask the doctor about Percocet drug interactions that are recognized as safe for the patient to take during painkiller medication. Dosages should be adjusted appropriately to reflect the severity of the pain that the patient is being treated for, and nothing more than that. Additionally, around-the-clock dosage should only be done in situations where the pain is constant. Follow the guidelines provided above to weigh doses and speak to a qualified physician too. Care needs to be taken when purchasing these drugs too. Please make sure that the drug is original before using it. The average Percocet cost online is about $10-$15 for the generic version of a bottle of 5mg tablets. How Often Percocet Can Be Taken? The starting dose is 2.5mg/325mg (Oxycodone/Acetaminophen) with a recommended maximum daily limit of 12 tablets. If a patient has no allergic reaction to Percocet from this amount, a pill or two can be taken every six hours according to the patient’s needs. If the patient starts to increase the daily Percocet dosing, only one tablet should be taken at once. As the dosage strengths increase, the maximum daily limit decreases. For instance, if the patient increases the dosage to Percocet 7.5/325, the daily maximum drops to 8 tablets. A further increase in the Percocet strength would lower this figure, and the sequence goes on. Sometimes, it is allowed to mix medical marijuana and painkillers to relieve pain and decrease the risk of opioid dependency. Ask a doctor about it, if a patient wants to decrease the amount of the drug intake. 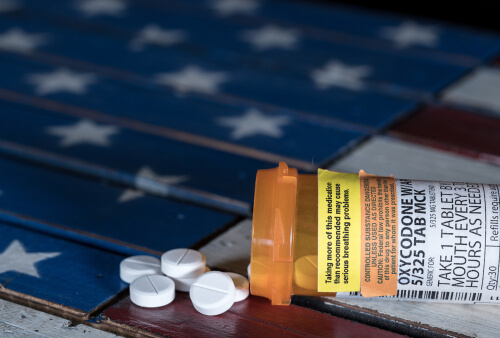 Patients also need to take note of the fact that it is easier to get Percocet OD on the acetaminophen component of the drug than on the oxycodone. For this reason, it is strongly recommended that patients shouldn’t take more than 4000 mg of acetaminophen daily. If you or a loved one has any questions concerning the use of Percocet pills, feel free to reach out through the helpline (888)-459-5511 for further information. Rest assured that all calls will remain confidential and secure. Addiction Resource » Addictive Substances: The Anatomy of Drug Addiction » Percocet Addiction and Abuse Signs: How Long Does it Take to Get Addicted? » Percocet Dosage and Administration: How Often You Can Take Percocet?